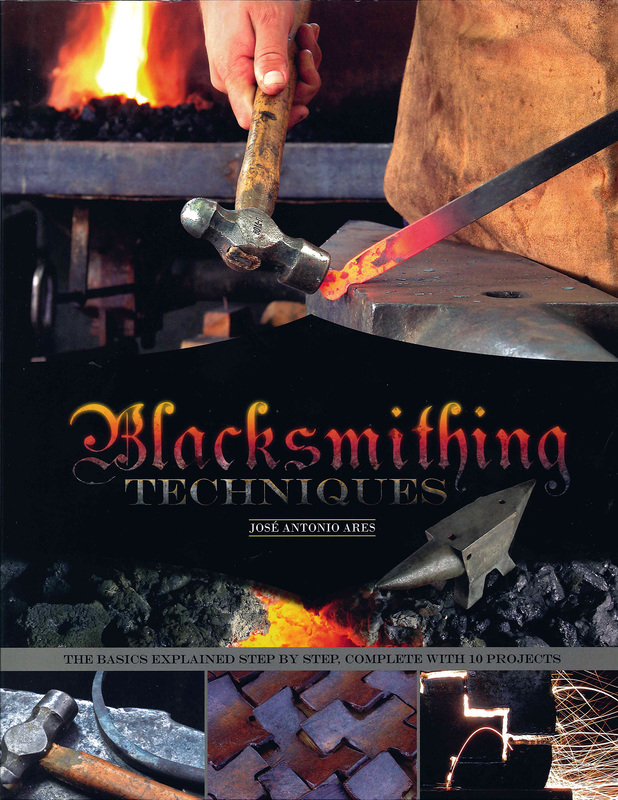 BLACKSMITHING TECHNIQUES by Jose Antonio Ares. Hardbound, 8-1/2�x11�, 144 pages. The perfect resource for starting work in metal forging, this guide introduces the traditional techniques from a modern perspective. It focuses on the basics, and includes classic procedures of the craft like metal punching and bending, as well as modern processes such as plasma cutting and heating with a blowtorch, or the use of manual power tools. With clear instructions and over 500 detailed full-color photos throughout, the book introduces the craft�s materials and tools, from the raw material (iron & steel), to the fuels, to the forge and its accessories. Includes 10 projects from a simple trivet to a candelabra.